This RIB offers the ultimate in safe and speedy passage, whether you are heading to the office or the islands. 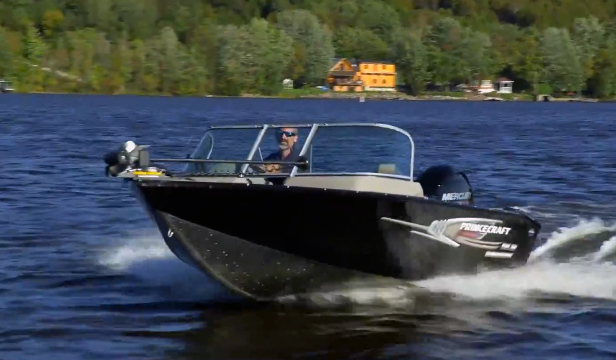 Riding in the Targa Protector 30 will beat riding in a train, bus, or car any day of the week. 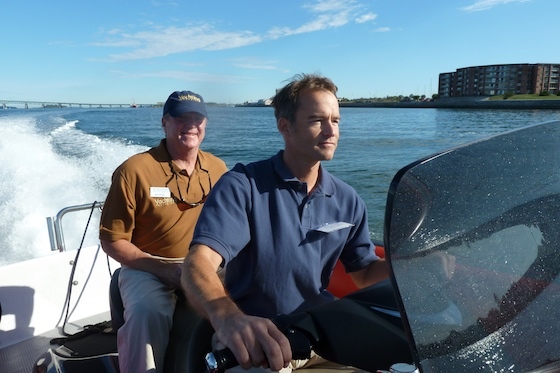 Think commuting by boat is a thing of the past? Not so. 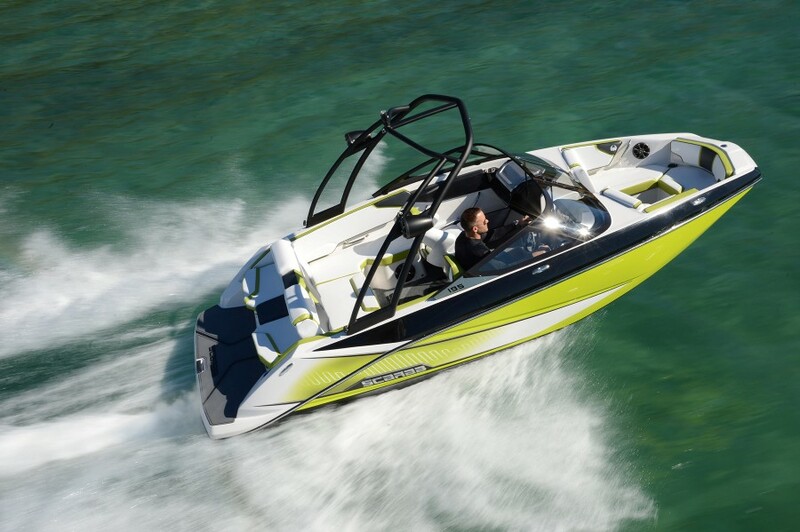 In fact, Targa says a large percentage of their customers likes the idea of running a RIB to the office, especially one that was derived from New Zealand’s Coast Guard fleet. Who wouldn't want to go to work by water? The Protector’s roots may be in search and rescue, but this model is anything but utilitarian. 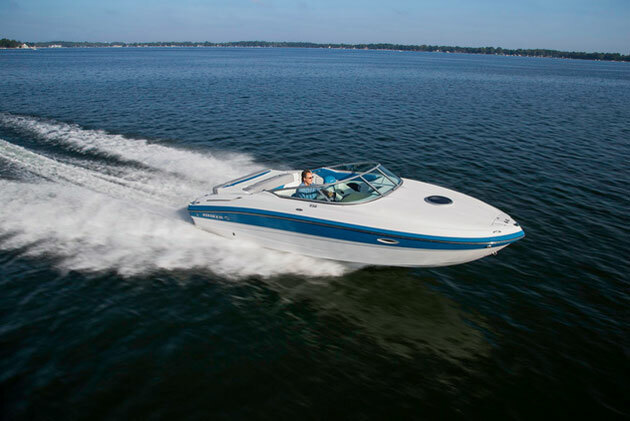 On it, you’ll find cushy perks like uber-comfortable Stidd helm chairs, twin seven foot bunks, an insulated cooler under the aft bench seats, and teak decking. You won’t just arrive at the office with more speed than those poor slobs doing the usual morning commute, you’ll also arrive with more style. Let’s talk a bit more about the potential time savings: the speed limit on most highways is 55- or 65-mph and at eight a.m. most of us are happy to be doing 40. 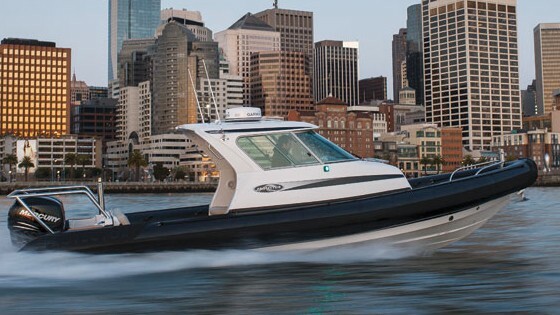 With a pair of twin 300-hp Verados on the transom, the Protector 30 can whisk you over the water at an eye-popping 60 knots. For you mathematically-challenged folks, that’s like rolling down the asphalt at 69-mph during the peak of rush-hour. 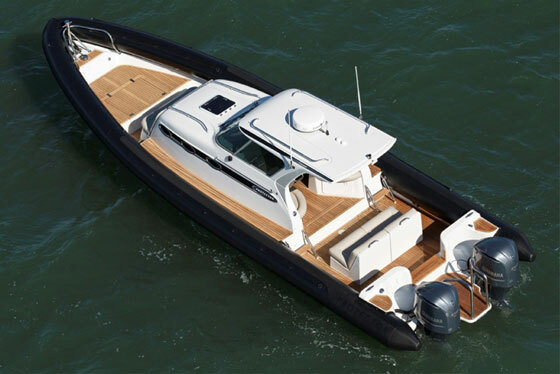 This new 30’ version is an up-sizing of the Protector 28, and although this model is still much smaller than the Protector 38, that extra bit of size comes with a lot of benefits: a cabin that’s six inches longer, an anchor locker that’s now large enough to accommodate a winch, six more square feet in the cockpit, and a larger helm. The downside? It should be obvious—while you could get the 28 for around $200K, the 30 starts at $216,000 and when fully outfitted, can reach up into the $300,000 range. 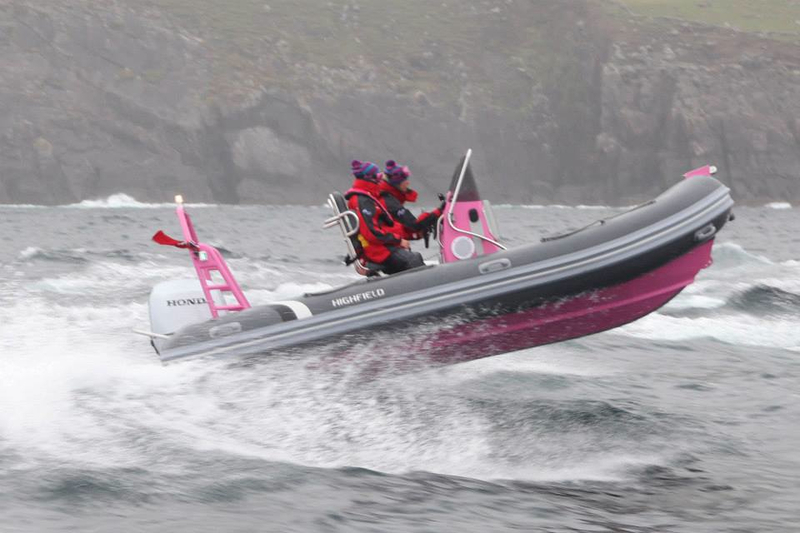 Another common use for the Protector is as a racing tender. That’s one of the reasons for the tow bar you see in the stern, although no one says you can’t pull watertoys or water skiers, too. Just go easy on those throttles, cowboy. However you might plan to use this boat, its seakeeping abilities are obviously up to the task. 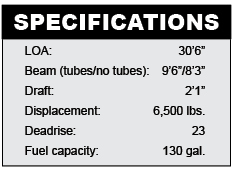 The seven-chamber Hypalon collar adds an immense amount of buoyancy, and although in increases beam up to 9’6”, when deflated, the boat trims down below the 8’6” trailering restrictions encountered in many states. That may be a nice convenience for some people—but it’s not half as convenient as commuting to the office without looking at one single tail light, train ticket, or bus token. 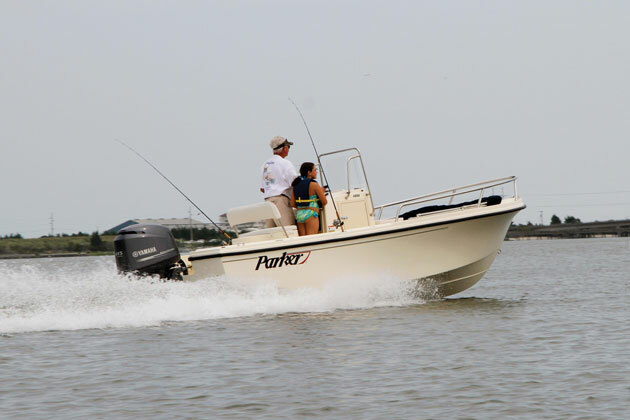 For more information, visit Protector Boats.